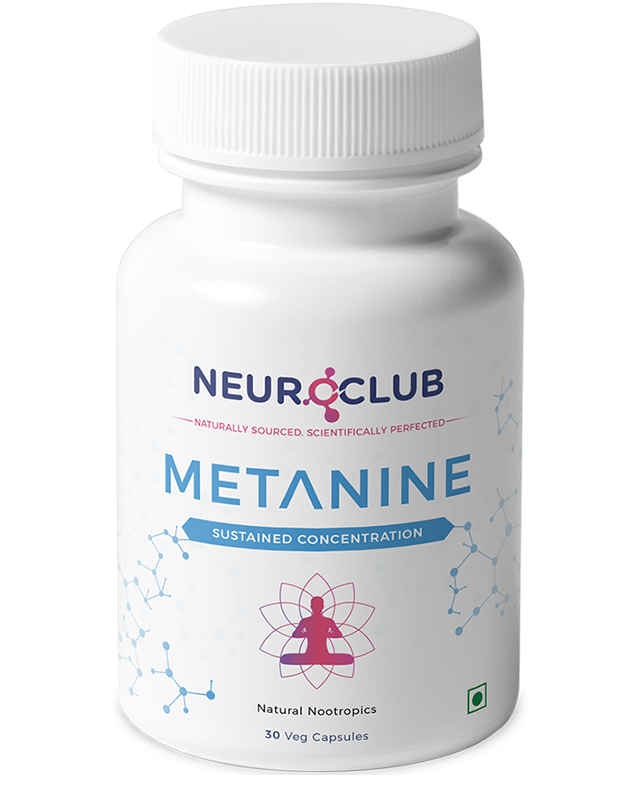 Metanine instills wakefulness and then extends that brain state to produce sustained concentration. 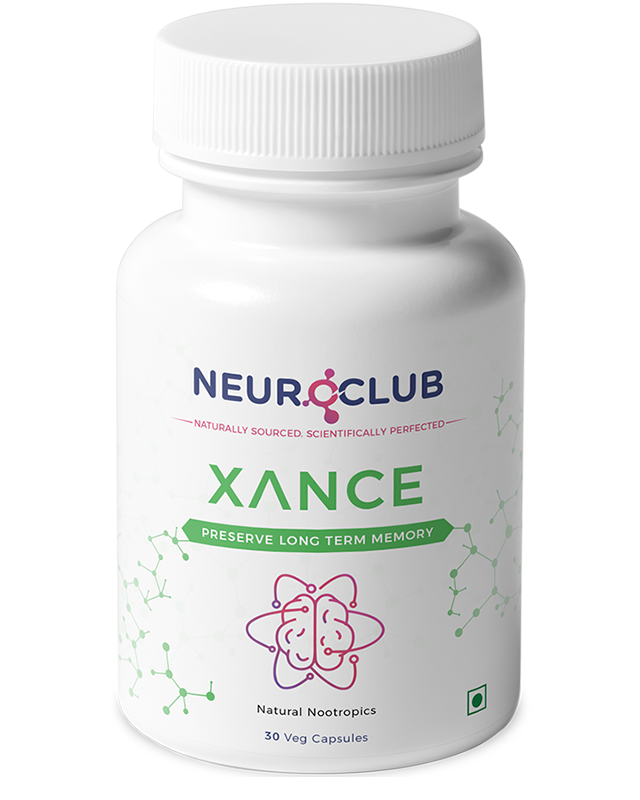 Provides 5 hours of sustained concentration. In order to concentrate we need to increase our sensitivity to sensory inputs while increasing alertness. 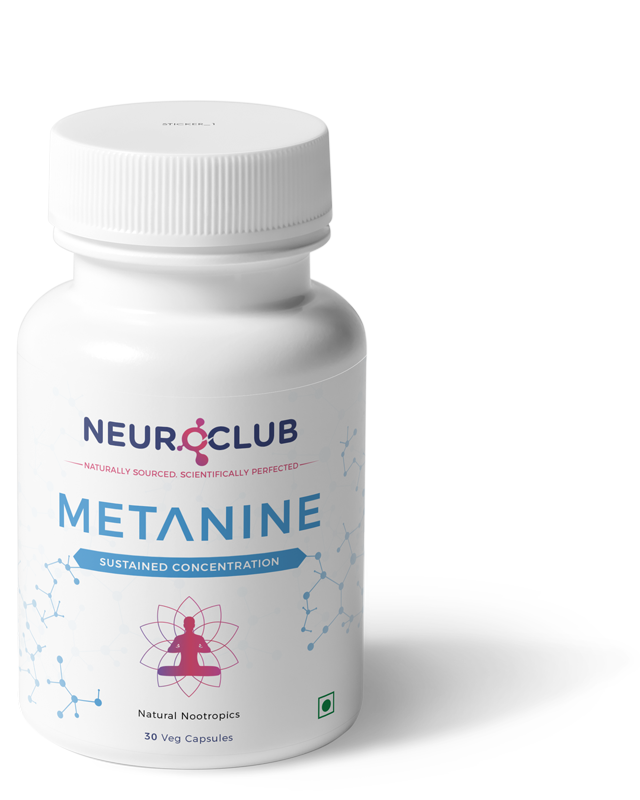 The ingredients in Metanine protect the MAO enzymes that result in more controlled neural activity, and they speed up neural firing resulting in more alertness. Together one experiences a state of sustained concentration without any side effects. Inability to focus on school, work, or hobbies. Take 1 tablet as needed with or without food. Metanine is a 100% natural product, and there are no known side effects if taken as directed. 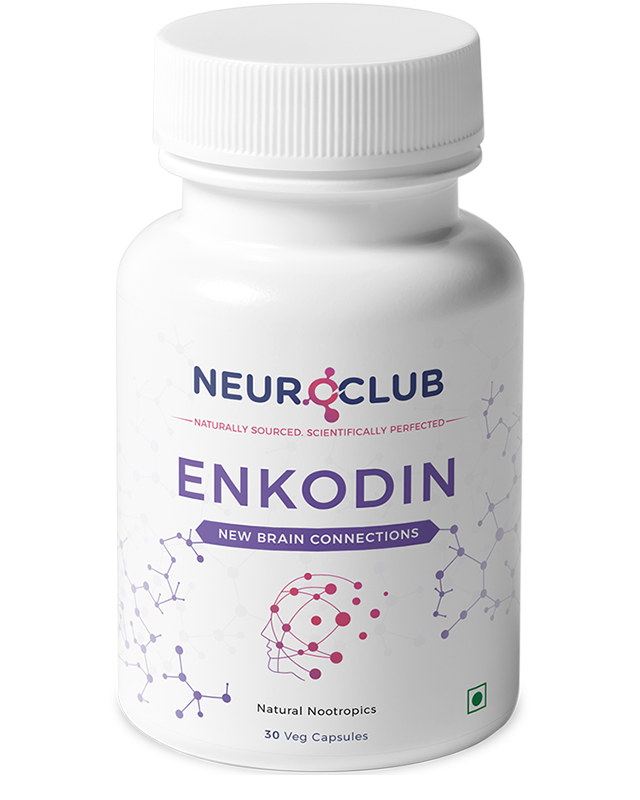 Withania somnifera (Ashwagandha) protects MAO enzymes in the brain resulting in more controlled neural activity. Caffeine from Green Coffee Beans prevents the adenosine receptors from being activated resulting in more alertness. Does this work like coffee? No, this is not meant to keep you awake but to keep you in a focused state for upto 5 hours. How long will I be able to focus after I take it? Can I take multiple tablets in a day? Yes, but try to take it specifically before you need at least 4 hours of dedicated focus. Will I be able to sleep if I take this at night? 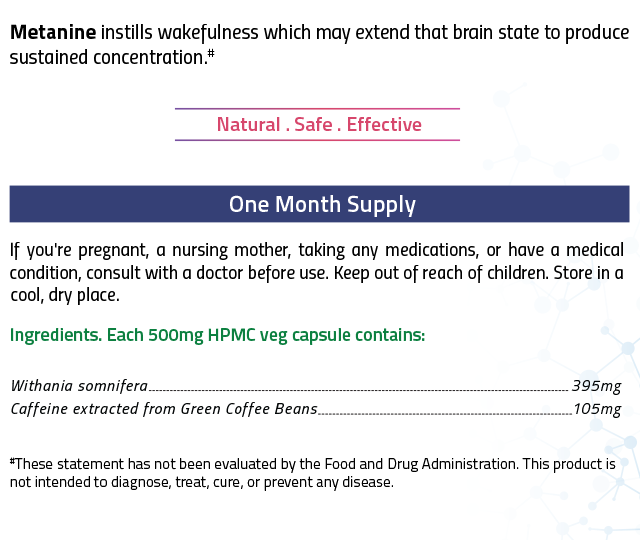 Most people have no issue going to sleep after taking Metanine at night, but try to take it at least 3 hours before you plan to sleep if concerned. If I have acid reflux problem can I still take this? Yes, but this has some caffeine in it so whatever measures you usually take when you have caffeine to prevent acid from coming up, it is recommended you do the same after you take Metanine. Does this work for ADHD? 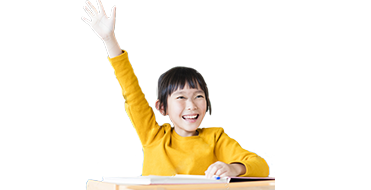 Can I still take my other ADHD medication with Metanine? Yes, this works for ADHD. You can take it with other medication but it is recommended that you take Metanine at a different time in the day than when you take you other medication. Copyright © 2019 Astroglia Pharma Private Limited. All Rights Reserved.